There are a lot of styles of Bar-B-Q. Some specific to regions, other’s to individuals. Ours is the 25 year old labor of love, developed by Jim and his son Nick and passed on to local owners across the country. It is a way that is driven by a deep respect for Southern culture. A respect we honor by doing things with a passion for detail, honest effort and a refusal to take short cuts. In other words, the way it ought to be done. 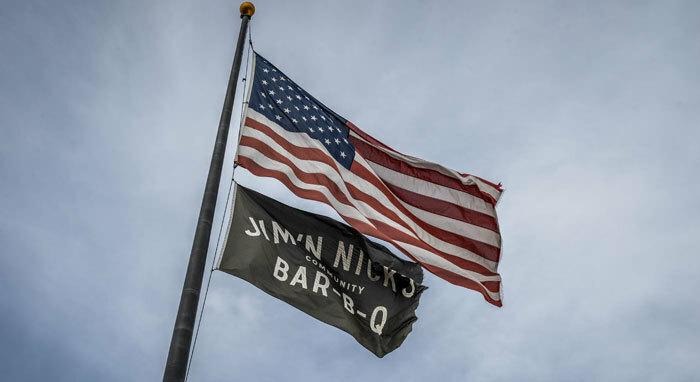 The Jim ‘N Nick’s way is low and slow. Our pork shoulders steep in hickory smoke for over 14 hours and everything is made from scratch. And yes, we mean everything. From the croutons that top our salads to the rolling pin fresh pie crusts, you can taste the passion and pride in every detail.